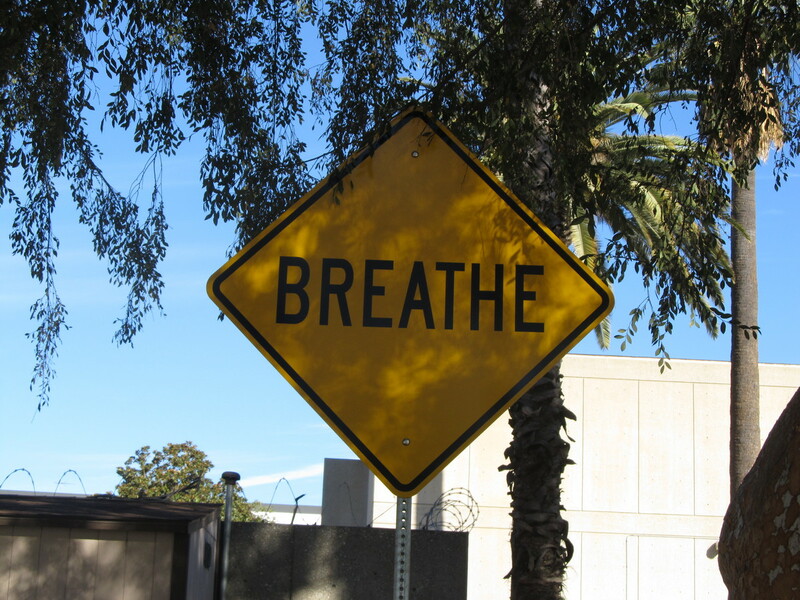 This past week, I saw a small item in the L.A. Times about an artist who has been making funny fake street signs, which are currently installed at various parks around Glendale. He has a Facebook page for the project, and I was able to contact him there, and to get a map showing where the different signs are installed. So that was our ride for today. We rode out across Pasadena and Eagle Rock, and then into Glendale. 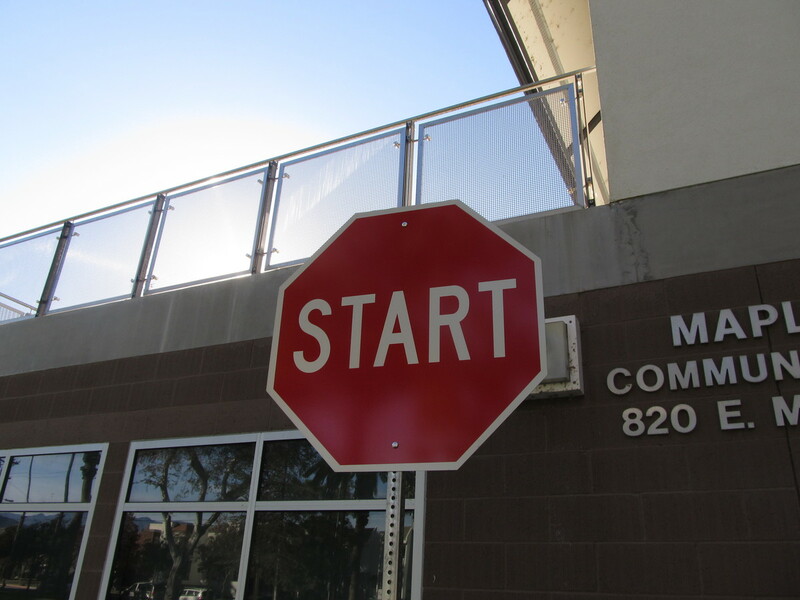 The first one we saw was the “START” sign in Maple Park. 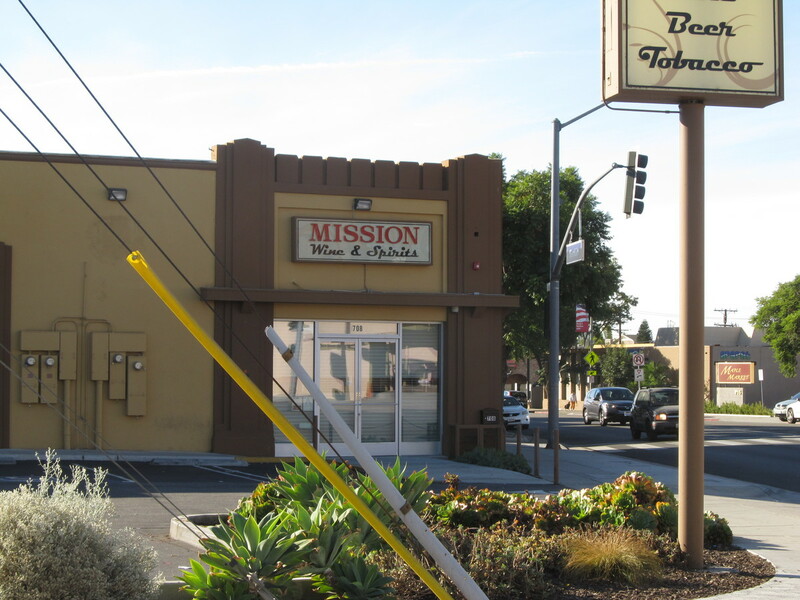 Heading off to the next sign, we passed Mission Wine and Spirits. Funny thing is, back in 2006, that same store was called Hammered Liquor Store. We stopped for snacks at Paradise Bakery in Glendale. Then we started on the return leg of the trip. 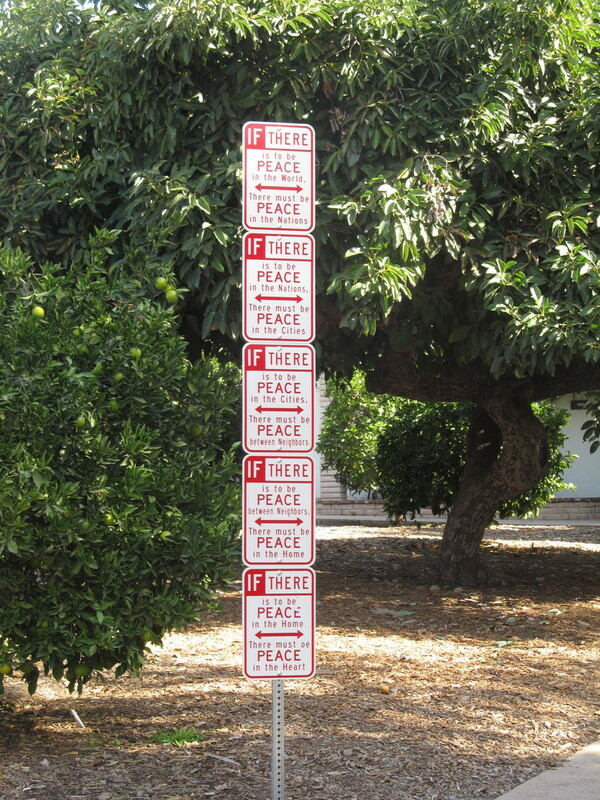 We took a short side trip to see the “Peace Signs” at Casa Adobe de San Rafael. 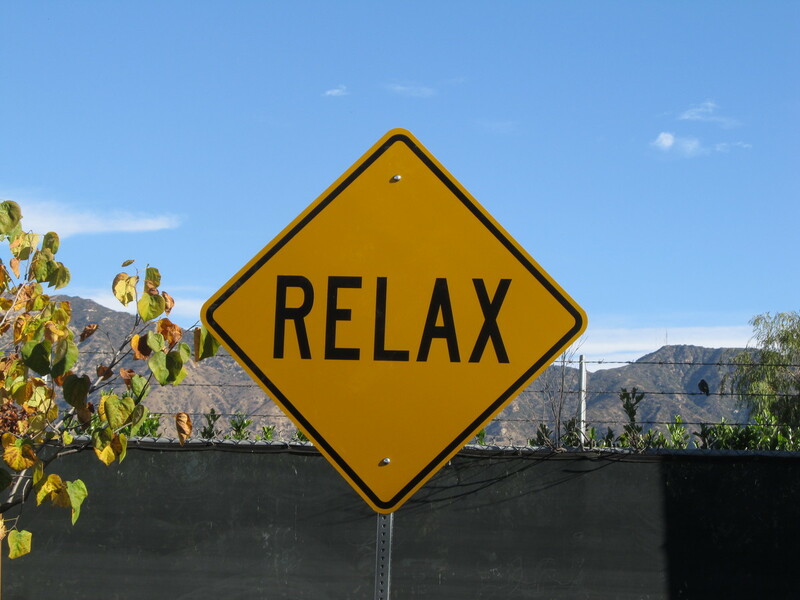 Then we started up the long hill into La Crescenta. 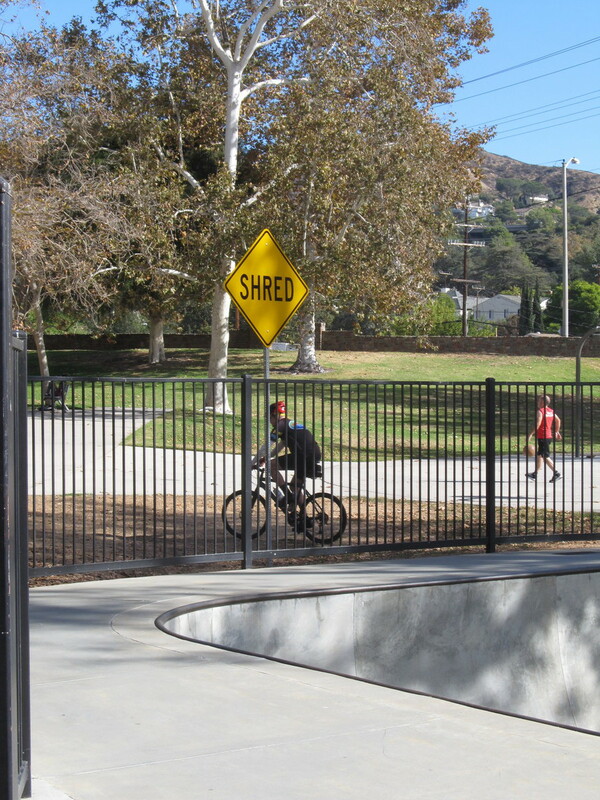 We stopped at the skate park to see the ‘SHRED” sign installed there. 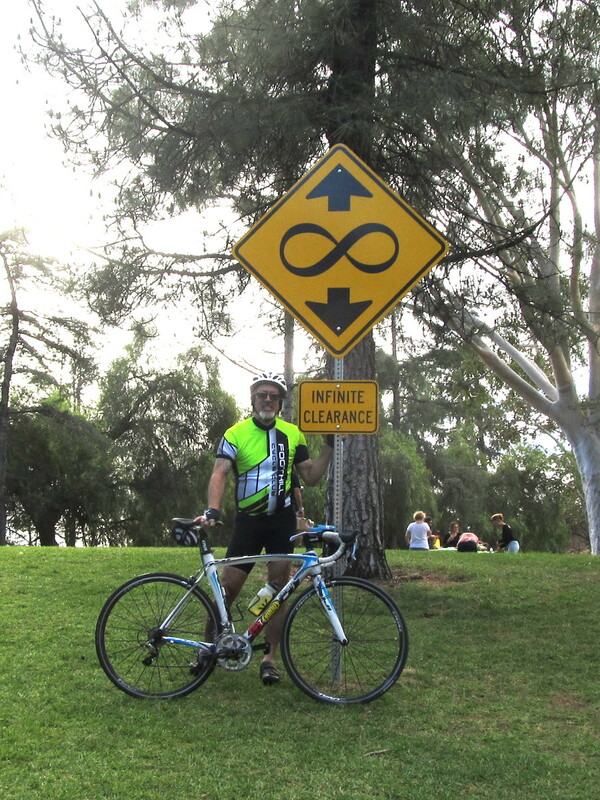 Finally, we stopped off at Montrose Community Park to see “Infinte Clearance”. That one turned out to be the hardest to find, largely because that park was much larger than all the others we’d visited. 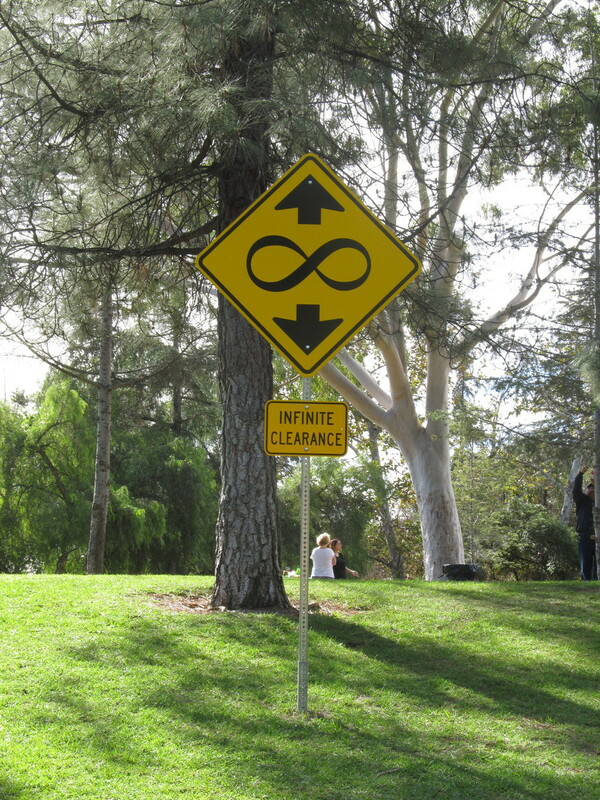 This was a very entertaining street art project. 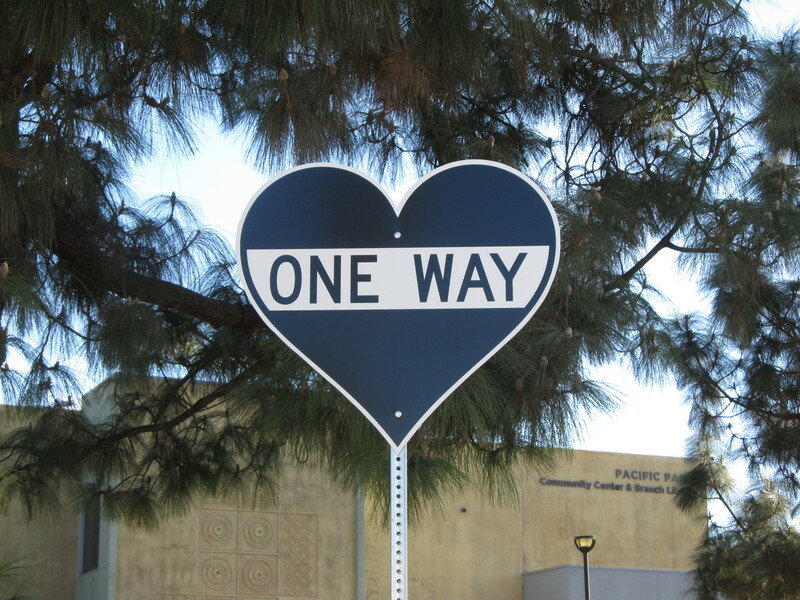 We liked seeing it, and it kind of reminded me of the time when Richard Ankrom made and installed a freeway sign as an art project in downtown Los Angeles. In the end, it was a fun ride, but as sometimes happens when I make up a completely new route to see something, this one came up a little short. But that’s all right once in a while.